Is it Safe to Travel to Mexico City? It is perhaps the most asked question when people find out I live here. Is it safe to travel to Mexico City? Absolutely yes. Even the US State Department, who hate everywhere fun and beautiful, have given Mexico City the green light. That being said, I wouldn’t have to write this post, it wouldn’t be one of the most googled things about Mexico City, if there weren’t some questions that needed answering. While it is a very safe city to visit, it is still important to be vigilant in certain areas and at certain times of day. I want to share with you answers to a few frequently asked questions. I also want to address a few ways to keep yourself and your stuff save while you enjoy this incredible city. The metro system in Mexico City is great. It’s absurdly cheap at only 5 pesos/25 cents a ride. This means it’s also one of the most used transport options in the city. Especially at rush hour. Just watch this video. I highly recommend avoiding it during rush hour. Being smushed and shoved is one thing, but these busy times are also prime pickpocket times. A few of my expat friends have been pickpocketed on the subway and the metrobuses. Even out of backpacks that they had on their fronts and fully zipped. If you do find yourself on a super busy mode of transport, make sure you know where your stuff is at all times. It’s also possible that as a female traveling by yourself, you may receive unwanted attention on public transport. Unfortunately, the more “foreign” you look (aka blond hair, tall, blue eyes etc), the more likely it is that someone (a man) will want to talk to you. It’s mostly harmless and I’ve never heard of anyone being physically assaulted, but catcalls are definitely alive and well in Mexico. If you are a woman traveling by yourself, I would really recommend sticking to Ubers, especially at night. If you plan on traveling by bus around the country, I really recommend spending a few more dollars and taking the premium or premier buses which only have one stop. There are occasional stories of people getting on at random stops along the way and robbing people on the bus. If you take a premium bus, everyone is searched and goes through a metal detector before getting on and the bus does not stop until it reaches it’s final destination. While taxis in Mexico City used to have quite bad reputations, once Uber arrived on the scene they were forced to clean up their acts. I still personally take Ubers everywhere because they have GPS and I don’t need to carry cash with me to use one. City taxis that you get from taxi ranks around the city often only know the immediate areas well, so taking them to other parts of the city isn’t advised unless you know where you’re going and how to get there yourself. I’ve also never been in a regular taxi that uses it’s meter. Some don’t even have meters. You need to agree upon the price before you even get in. And of course they only accept cash. Ubers are usually the cheaper option when going more than a few miles. They are cleaner, newer, and generally accepted as being the safer option. I definitely recommend using Uber going to and from the airport as well as late at night when coming out of a bar or club. Regular taxis are notorious for overcharging people in these places. In populated areas and suburbs like Condesa, Roma, and Coyoacan, walking around in the evenings is perfectly safe. There are loads of food vendors, bars and restaurants open. If you’re leaving a bar to go to another, you’re by yourself, and it’s more than a few block away, call an Uber or get a taxi. I don’t mean to scare anyone. Personally, I would do this back home in New York. I’ve never heard about bad things happening since I’ve lived here, but to me, it’s just common sense. This, for whatever reason, is some people’s biggest concerns. We had a friend visit a few weeks ago from the US and he was so nervous that the tacos were going to make him sick. 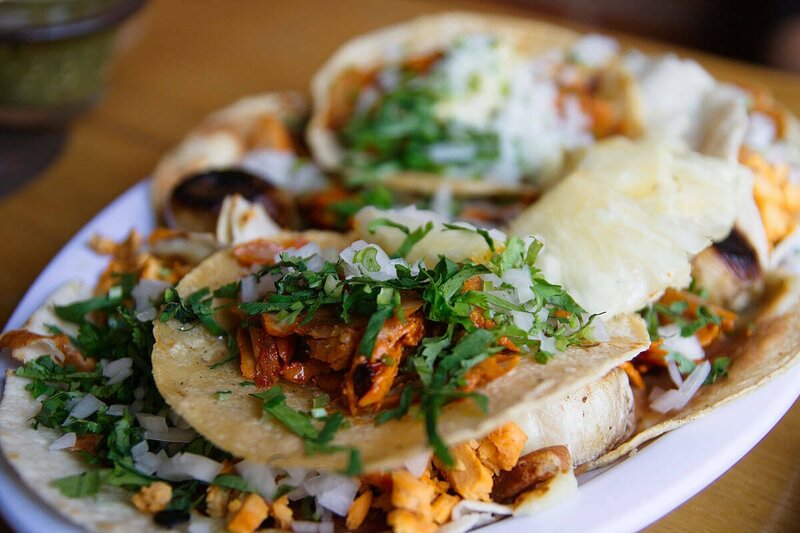 I’ve eaten at so many stands around Mexico City and I can tell you that never once have I been ill, felt ill, or even had a rumble in my belly (except for the time I accidentally ate about 15 tacos, over the limit). Mexican street stalls make pretty much everything to order, so nothing has been sitting under a heat lamp or changing temperature 10 times. If you have a sensitivity to oils, you might have a grumbly tummy, but to avoid the street food entirely in this foodie city is just crazy talk. Around every corner, someone is asking for money in Mexico City. The gap between rich and poor is enormous. There are small children selling candy, teenagers juggling at stop lights and old men cleaning your windscreens in the middle of traffic (of which there is plenty). Often when we’re sitting at a restaurant or bar that has outdoor seating, someone will come up trying to sell cigarettes or mints. Even more popular are the buskers that go bar to bar. They are always nice and their music is lovely and these are the people I usually give my money to. Of course, you should never feel obligated to give money to anyone and I’ve had many a discussion with Mexican and expat friends about what the “right” thing to do is. Most residents feel that it’s good to give to people who are trying to earn an honest living, like buskers, windshield washers, and jugglers. Otherwise, they may eventually turn to dishonest ways of making money. Whatever your take on the matter, it’s something you should be aware will be everywhere when you arrive. Over the summer, Luke was heading to work with one of his colleagues and they got pulled over by the police. I mean, they blatantly ran a red light, so totally deserved. The police officer asked for a few hundred pesos and was on his way. Another summer’s day, we were all home at our house. We had our front door open to have a bit of cross ventilation. Someone rang our doorbell and one of my housemates answered it. It was a police officer. He wanted to make sure we weren’t being burgled. Then he asked for a few pesos to get a drink. We gave him a bottle of coke, which he seemed pretty pleased with. Unfortunately, these sort of things happen on the daily. Police are undervalued and underpaid in Mexico. This has led to them underworking and overcharging the little guys. Asking for bribes has become the norm. I know a lot of expats who outright refuse to give police any sort of bribe. They opt to see what the police will do instead. They usually do nothing and still end up sending you on your way. But other times they will actually bring you down to the station. For the most part, you won’t really deal with them as tourists. The police in the city center are much better than in the suburbs and they leave foreigners alone. If you do decide to rent a car to see things further afield though, this is something to be aware of. This one is common sense and literally happens (unfortunately) in most major cities all over the world. In very populated tourist areas, specifically: Xochimilco, Chapultepec Park, the Zocalo, and around Plaza Garibaldi, be very vigilant with your things. Don’t carry big cameras, don’t flash your phones or carry too much cash on you. Guys, don’t put your wallets in your back pockets. Ladies, make sure your purses have zippers and that they’re always zipped up (cross body bags are my go-to in these sort of places). And as I mentioned above, be aware of your things when you’re on crowded public transport as well. I guess it’s something I should address since it’s one that people seem to ask about a lot. 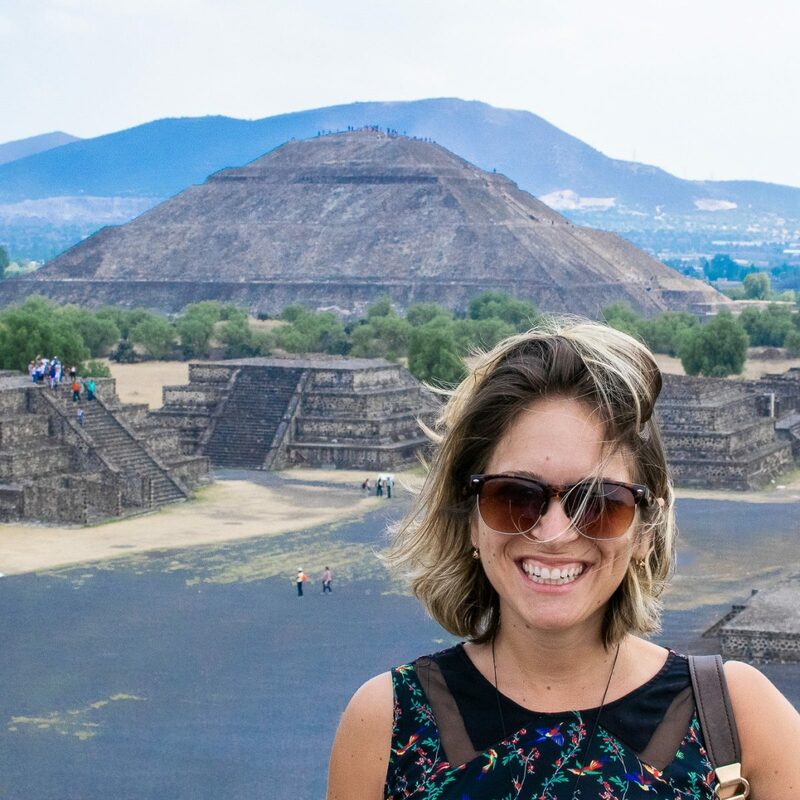 I was reading the Four-Hour Workweek a few months ago and Tim Ferriss said he wouldn’t live in Mexico City because it was “too kidnap happy.” I closed the book I was so annoyed (okay, I turned off my Kindle). I felt really defensive and even wrote a tweet about how absurd it was that he was saying that to millions of readers. Do people get kidnapped in Mexico? Yes. It happens. Pretty frequently actually. There was a story in the news just this week about it. Have a read of it here if you want. You know who is mostly being kidnapped? People involved in or living around the drug trade. Most of the issues are happening in the state of Guerrero and a few in Chihuahua. Should you as a tourist be concerned about being kidnapped? Absolutely not. Trust me, if you were a target, the US State Department would be ALL OVER that on their website. I recommend this to anyone traveling anywhere, but I think it’s really a good idea to get insurance that covers your stuff when visiting Latin America. I always recommend World Nomads. It’s one of the most reasonably priced, it’s got great coverage and you can choose which plan you want based on the activities you’ll be partaking in and the countries you’ll be visiting. Hospitals in Mexico are mostly all private and emergency care can be quite expensive (especially for those of you not used to paying for healthcare). 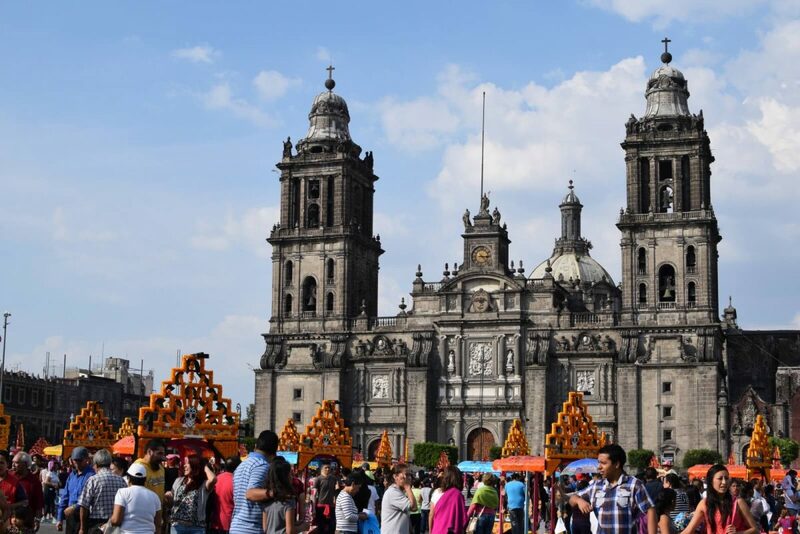 So Should You Visit Mexico City? Mexico City is chaotic. It’s loud. It’s obnoxious and a little bit of a drunkard. The people are resilient and proud. They cook some damn good food. There is so much to love about this city and I know after a few weeks in New York for Christmas, I’ll be itching to get back to my little place in it. 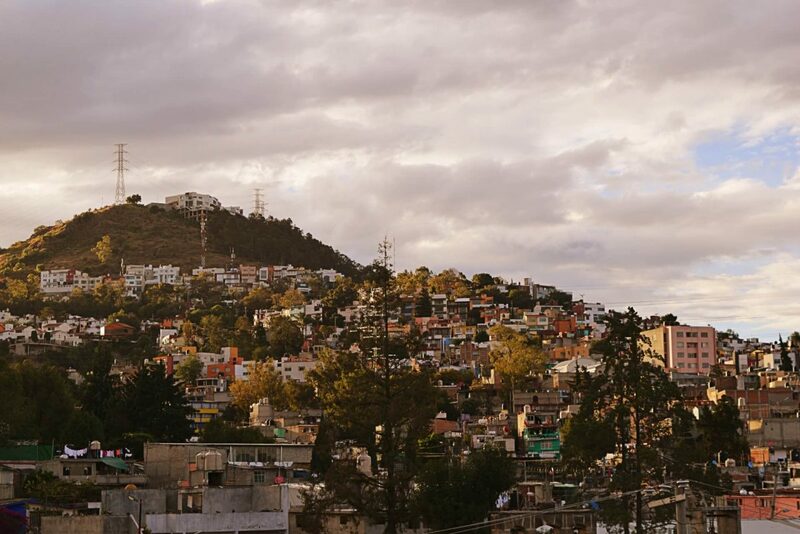 Mexico City is a place worth exploring. Will you need to be careful with your stuff? Definitely. Will you need to do a bit of research about what neighborhoods to stay in Mexico City and where to go out? For sure. But isn’t that true of every city? It’s a shame that Mexico City gets such a bad rap. I wish more people would give this budding metropolis a chance. If you have more questions about traveling to Mexico City and whether or not it’s safe, feel free to email me. I’d love to put your nerves at ease. I couldn’t agree more with this – I’ve been in Mexico city for 2 months now and LOVE it! Sure, it has the same problems any big city does but be smart & the chances of anything happening are pretty small. Just enjoy! !